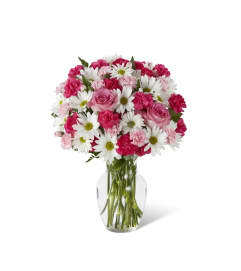 FTD® proudly presents the Better Homes and Gardens™ Be Bold™ Bouquet. 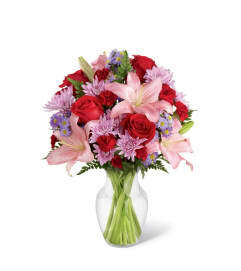 Blooming with bright colors to boldly express your every emotion, this exquisite flower bouquet is set to celebrate. Hot pink roses, purple Peruvian Lilies, lavender mini carnations, green hypericum berries, lily grass blades, and lush greens are brought together to create an incredible flower arrangement. 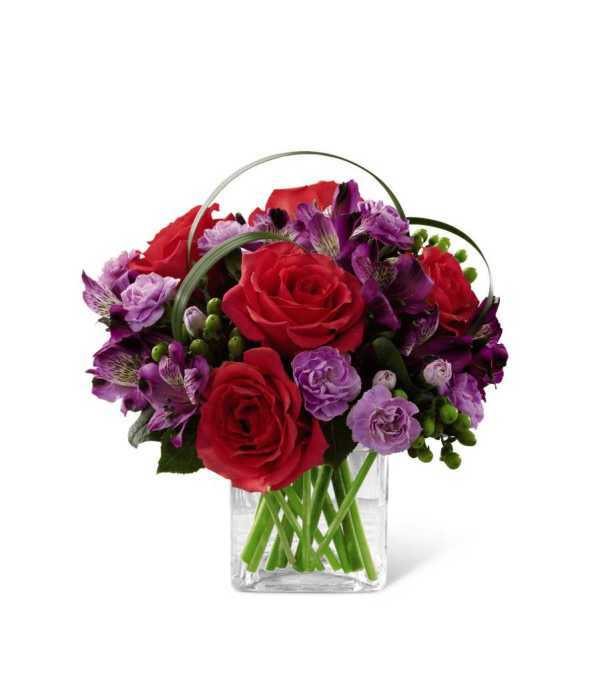 Presented in a clear glass cube vase, this mixed flower bouquet will make that perfect impression on a birthday, anniversary, or as a way to extend your congratulations or thank you wishes.